A number of bloggers have gotten into a debate about the merits of tenure. I think the discussion has been hampered by a misunderstanding of what universities do and why tenure is important. Yes, tenure sometimes protects professors who hold unpopular political views, but that’s not the primary justification for its existence. Rather, the existence of tenure, and the peculiar structure of universities more generally, is an adaptation to the distinctive task universities perform. Universities exist to produce and disseminate theoretical knowledge, which has three distinctive characteristics that make the unusual structure of the modern university necessary. First, it’s hard for outsiders to judge the quality of work within any given discipline. You can judge the skill of a mechanic by seeing whether your car works when he’s done with it, but good luck evaluating a physics paper if you’re not a physicist. Second, academic research consists of long-term projects with hard-to-predict returns. The typical academic paper is never read by more than a few dozen people, but every once in a while an academic discovers something like packet-switched networking or public-key cryptography that change the world. Even experts within a given discipline can’t predict which lines of research will prove fruitful or how long the process will take, so it’s important that individual professors have broad latitude to pursue the projects of their choice, even if those projects don’t look promising to others. Finally, there is little correlation between the quality of academic work and its value in the marketplace. There’s never going to be a significant commercial market for Egyptology services. If we want a smart 25-year-old to become Egyptologists, we need to give him some reason to believe that he’ll be able to earn a living as an Egyptologist 40 years later. This presents something of a paradox. On the one hand, the importance of local knowledge and experimentation suggests that universities should be structured in a bottom-up fashion. On the other hand, it seems that only a large, centralized institution can provide that long-term stability required to support academic research. To put it in Coasean terms: neither a conventional firm nor a conventional market is well-adapted to supporting academic research. Universities are best seen as a third form of social organization, distinct from both the firm and the market. Like a top-down firm, a university has a centralized administrative staff to take care of routine functions like payroll, maintenance, course scheduling, and so forth. But unlike a firm (and like a market), the most important decisions within a university are made in a bottom-up fashion. Universities are divided into dozens of departments that choose their own leaders. They make decisions about hiring, promotion, and coursework with minimal interference from the administration. And within the department, faculty members have a great deal of autonomy to decide what they’ll teach and what kind of research they’ll do. In traditional top-down institutions, people work to impress their bosses. In universities, people ignore their “bosses” (the Dean, university president, etc) and instead work hard to impress other people in their field, almost all of whom are at other institutions. Tenure is essential to preserving this bottom-up structure. If a university president had the power to fire professors, then she’d have the de facto ability to wield power in other respects as well. People with power usually can’t resist using it, so over time, power would shift toward the center and the school would be subject to all the flaws of traditional top-down at institutions. Professors would feel pressure to do things that look like good research to the non-experts in the corner office, which is a different thing from actually doing good research. It’s absolutely true that the bottom-up structure of a university is expensive. Granting tenure to a sub-par professor means that the university is stuck with deadwood for decades. But the distinctive character of academic knowledge means this doesn’t matter very much. Only a tiny minority of scholars will produce truly ground-breaking research, and there’s no good way to predict who they are. And the most successful scholars tend to have high levels of self-motivation: neither threatening them with firing nor enticing them with large bonuses is likely to increase their odds of having a breakthrough. The best you can do is give them absolute job security and a minimum of distractions, so they can devote their full attention to their work. Now, I haven’t said very much about undergraduates. This is mostly because educating undergrads just isn’t the primary focus of the kind of university where tenure is most important. 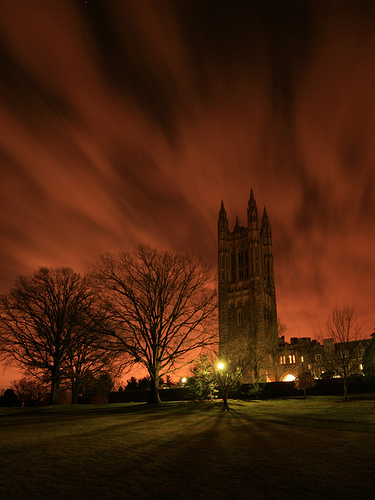 At a place like Princeton, hiring and tenure decisions are primarily focused on an applicant’s research record. 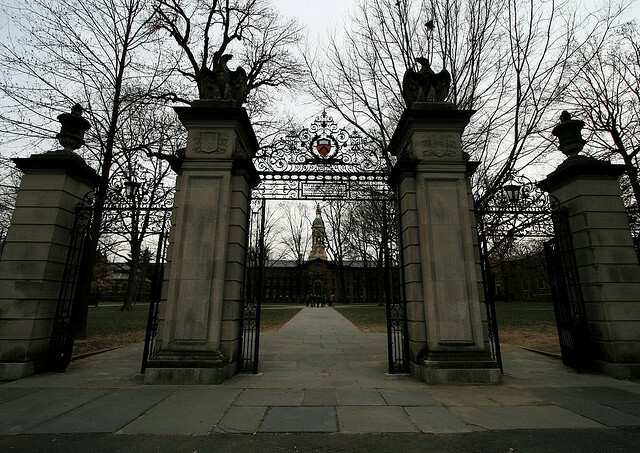 This turns out not to be such a bad deal for Princeton undergraduates because the kind of high-caliber undergrad who get in to Princeton doesn’t need a lot of hand-holding anyway. What they get instead is the chance to learn about the latest developments in their major from leading scholars in the field. My experience is limited to large research institutions (my undergraduate alma mater is the University of Minnesota), so I’m not sure how well these arguments apply to to liberal arts and community colleges where research isn’t a major focus. In settings where educating undergraduates is the institution’s primary mission, the case against tenure may be stronger. Still, even in institutions focused on undergraduate education, the decentralization that tenure makes possible has important advantages. Just as segregating the editorial side of a newspaper from the business side is good for the long-term profitability of a news organization, so making the faculty independent of the administration prevents the administration from meddling in the educational process in ways that might harm the institution’s long-run reputation. When the people creating the curriculum are independent of the people making budgetary decisions, there will be much less temptation to deal with short-term budget problems by lowering standards or otherwise cutting corners. Granting tenure to your professors is a way of credibly committing to being the kind of place that takes scholarship seriously, and in the long run that’s extremely important. Sometimes the peer-approval obsession can border on annoying navel-gazing, but yeah I can’t imagine that administrative interference would help matters at all. I’ve never really thought about tenure as a way to protect the “market of ideas”, but the argument makes good sense. For what it’s worth my undergrad — and only — degree is from Union College, which definitely emphasizes teaching over research. My favorite courses — Mechatronics and MATLAB programming, to name a couple — always seemed like “pet projects” for specific professors that might seem frivolous to an administrator in the context of a mechanical engineering curriculum. So it’s probably for the better even in that environment. Yeah, I find this is one of the major disconnects between the reality and the perception. My friend who is on tenure track always gets comments like “well at least you have the summer off!” to which she just sighs. This doesn’t even cover how she is explicitly instructed (i.e. not just via incentives, but told: “don’t try very hard at teaching”) to not waste time on teaching, and just do whatever it takes to get good evals with the minimal effort. My opposition to tenure is mostly wrapped up in the negative effects it has on people who don’t have tenure. I think one of the other major crazy things that defines major research institutions is what you point out: the idea that research and teaching should be done by the same person. Maybe there was a time at which this was smart, but simply put: the skills that make one a great researcher and a great teacher are relatively unrelated. Now, there are of course individuals who exemplify both, but very, very few. I’d break up those 2 goals, personally. Perhaps that would help clarify the tenure debate as well. The second nit that I would pick is about the effect of tenure on teaching and undergrads. Almost all universities base tenure decisions primarily on research, and as a result tenure is a pretty bad deal for undergraduates who are going for a four year education. You don’t need a world-class expert in artificial intelligence to teach programming 101 to 18 year olds. In fact, that’s probably a very bad deal, even at an elite institution with bright, eager students. I don’t care what caliber of the students happens to be, a good teacher makes learning easier. I actually think it takes an incredible leap of faith to believe that because the average student at elite schools are (let’s be generous) 25% brighter than the average large state school they can withstand teachers that could easily be orders of magnitude worse at teaching. Research is good; don’t get me wrong. The problem is that being a good researcher and being a good teacher aren’t overlapping skill sets; being good at one doesn’t improve skill in the other at a one to one ratio. Knowing a lot about something complicated and being able to explain something complicated in a way that a novice would understand it are primarily separate skills. A professor that focuses 75% of their time on teaching is going to be much better at it than one that focuses 75% of their time on research. This is particularly true when you start extrapolating over the course of several years. Research professors become so deeply involved in their research that the entry level knowledge becomes tacit and hard to explain or completely lost due to atrophy. Ironically, people usually have no problem accepting that a professor that spends 75% of their time doing research is going to be way better at research than one that spends 75% of their time teaching, but the reverse requires a bit of convincing. The final nit I would pick is actually a bit closer to the core theme of this blog. (This argument is based in part on my position that research professors don’t generally make great teachers.) Basically my question is this: why do large schools focus on research and small schools focus on teaching? In your last paragraph you hint at the dichotomy that I want to explore. Most large schools are ‘research’ schools despite the fact that they may have far more undergraduates to educate than the smaller ‘teaching’ schools do. I did my undergrad at Purdue, so I’ll pick on it. (Also, since it’s way, way better than Minnesota, then by the transitive property of education my arguments hold for that school as well… :-P) Purdue has over 31,000 undergraduates to educate, and the vast majority of these students will never, ever perform any academic research. They just want to learn a skill that will allow them to have successful careers building bridges or litigating court cases or landscaping or whatever. However, the professors at this ‘research’ university are basically there to perform research first and teach second. How is that efficient? Look at this from the other side too. The entire graduate-level population at Purdue is about 8,000 students, which is between a third and a quarter of what the undergraduate population is. In addition, many of these grad students still don’t care about actually performing research (though they likely want to learn about recent research). They just want a terminal master’s degree. I don’t know any rough numbers off the top of my head, but it’s got to be something like two thirds of the graduate population that just wants a terminal masters degree and doesn’t care a whit about doing academic research. If you start adding the numbers up for these large research schools, it’s likely that fewer than 10% of the students there are actually interested in performing academic research. Why wouldn’t it be more efficient to take that 10% and all the research professors and have them in a separate, smaller school where they can focus on research? If you don’t like that idea, then why not take the 8,000 grad students and made a completely separate school for that so they don’t have to spend time educating undergrads? I agree with your premise that universities aren’t really firms and they aren’t really marketplaces, but I definitely think there are important distortions of what would actually be efficient for both teaching and research. What’s one of the biggest complaints about being a grad student? Wasted time grading hundreds of undergraduate projects as a TA. What’s one of the fastest ways to find a young assistant professor at a large research institution that won’t get tenure? Look for a teaching award. What’s one of the most pervasive complaints from undergrads at large teaching schools? The professor doesn’t care about the class since it gets in the way of their research. Yeah, these are generalizations. Of course there are exceptions, but taken in the aggregate, doesn’t this indicate that there should be a better way? If so, why hasn’t our “market” for education achieved this? Nice stuff, Aaron. I think you make a really good point about the definition of tenure. I too want a research system where the employer says “I won’t fire you for the content of your research.” If that’s all that’s defined by “tenure” then I’m for it. I think that currently there’s a lot more wrapped up in “tenure” right now, so I guess my position would be more simply to pare that down to the essentials. I also think you are spot on with the statement that research and teaching shouldn’t be bound up together — at least, in my opinion, so long as the prof doesn’t want to. Some genuinely do enjoy and excel at both. Every single one of my best teachers in undergrad were non-tenured professors, (though often I didn’t realize it at the time, undergrads have a very skewed view of all of that) yet from my university’s perspective they were useless. Aaron, thanks for the thoughtful comment. To be clear, when I wrote that the research focus was “not to be such a bad deal for Princeton undergraduates,” I meant exactly that, not that it was good for undergrads. My main point was simply that educating undergrads isn’t Princeton’s primary function, and so evaluating tenure based on its effects on undergraduate education is sort of missing the point. I think it’s a mistake to conclude that because Purdue has 31,000 undergrads that it has an obligation to focus the bulk of its resources on undergrad education. Purdue is not a business, and those students are not its customers. Educating undergraduates is one part of a university’s mission, but it’s a relatively minor part. Look at it this way. If you go back in history and look at the lives of great composers, I suspect you’d find a lot of them supported themselves as music teachers for the children of their aristocrat-patrons. The aristocrat might have argued that it was “inefficient” for the composer to spend so much time on symphonies rather than on making his music lessons better. But of course, the symphonies are the point; the music lessons are just a means to that end. I think there’s a sense in which universities work the same way. Academic research is the point of a university. Teaching undergraduates is largely a way for the university to cover its costs while it pursues its research mission. This isn’t a matter of inefficiency so much as of conflicting values. Universities are not businesses but they are embedded in a commercial marketplace. If they do a sufficiently poor job of educating students, the students will go to a small liberal arts school or a for-profit outfit like the University of Phoenix. For some reason, there seems to be a lot of demand to study in the kind of intellectual environment a research university creates. Yeah, I think the guarantee of academic freedom provided by tenure was the basis for Tim’s defense of it. It provides an environment conducive to bottom-up formation of prominent academic work. Your points about the disconnects between the goals of most students and the goals of most professors are important to keep in mind though. I suspect some of this occurs because students have economic incentives to attend in-state schools, many of which could be described as “major research universities.” So there are factors involved in choosing a school that have little to do with educational goals, and it’s possible that the perceived demand for research-over-teaching schools among undergrads might be inflated. Thanks for the insightful replies! I am always impressed the quality of comments here. My points about research and teaching may have veered away from nitpicking and into something that may be more serious. I understand that many universities aren’t traditional businesses in the sense that they are perfectly profit seeking. Many universities devote significant resources to academic research, but quite frankly, any university that teaches undergraduates to do anything other than academic research has more similarities with businesses than differences. In short, I don’t think that Purdue has to devote the bulk of their resources to teaching simply because they have 31,000+ undergrads, but I do think that Purdue has to be thought of as some form of business entity with at least 31,000 customers. Teaching is a service-oriented business with employees and customers. Any organization the purports to exchange money for knowledge is operating a business of this sort. This is as true for music lessons as it is for computer science and anything else students might go to college to learn. I feel like you’ve written a great post about “The Bottom-up Approach to Academic Research,” but you’ve effectively ignored the bottom-up benefits universities and students could gain by separating research from teaching. Let’s back up a bit to your example of composers and music lessons. I think this (or any other artistic endeavor) is a great analogy because music (or art) very often has the same valuation problems that cutting edge research has. No one knows how valuable the output will be before someone starts working on it or perhaps even until well after the product has been released. Also, both industries have the potential for an amazing discovery that has an immediate and profound impact on the rest of the field. Finally, music lessons can provide a student with the ability to make a living in much the same way that a college education in engineering or landscaping or whatever can provide a student the means to make a career. In the music lesson analogy, the composer needs money to support the creation of something isn’t easily valued by the market place. My question is this: Why does that money have to be earned through teaching? Sure, a lot of artists support themselves with teaching while trying to create their masterpiece. This is where the phrase “Those who can’t do, teach” applies. However, a whole bunch of artists support themselves with other jobs, like waiting tables or manual labor. It’s hard to argue that these other jobs aren’t traditional businesses because there is a clear customer, a clear product, and a clear win-win exchange happening in the marketplace. Clearly musicians (and other artists) have done both and achieved their end goal, so why wouldn’t it be possible for academic research to sustain itself on something other than teaching? One might even argue that business-supported research can be a more successful approach and cite organizations like Xerox PARC and Bell Labs. To go back to academia, I think you either have to say that there’s research value to be gained from teaching students at the undergraduate level or you have to say that it would be a more economically efficient division of labor if we separated research and teaching. Either way, if you’re going to talk about “The Bottom-up University,” then I think you have to talk about more than just research. Also, I’m not sure simply saying there’s a lot of demand is particularly useful in this context because as Rhayader points out, the government is heavily involved in the economics of education. In fact, I’m a little surprised that this sort of top-down market intrusion doesn’t get mentioned in a discussion of “The Bottom-up University” since the government is involved in financing both the research and teaching that goes on at many universities. Sorry to be so long-winded about this. I guess I just find it a bit jarring to actually disagree with part of one of your posts since I’m usually nodding my head in agreement paragraph after paragraph. Keep up the good work! The post was mostly about the benefits of tenure to research; the paragraph about undergrads was something of an afterthought. So I could be wrong about it. But here’s how it looks to me. Tim, I suspect that you actually see at least some of these similarities since you’re willing to say things like, “Universities are not businesses but they are embedded in a commercial marketplace.” I just can’t agree with that (and it feels less-than-eloquent from a writer as skilled as you). What does it mean to say that an organization is ‘embedded in a commercial marketplace’ while simultaneously not being a business? Well, consider this blog. It’s “embedded in a commercial marketplace” in the sense that time you spend reading my posts is time you might have otherwise spent reading some commercial media outlet. I am, in some sense, competing with the New York Times and CNN. But if you pointed out to me that I could attract more readers, and generate more advertising revenue, by blogging about Lindsay Lohan, I’d say I don’t care about that because generating advertising dollars isn’t my primary motivation. I’d rather have a smaller, smarter, more engaged readership than a larger, dumber, and more fleeting one. And if some Bottom-up reader complains that my posts are too long and boring, I’m going to take that as a sign that my blog isn’t the right choice for that reader. So too with the university. The mission of the university is to produce and disseminate a certain kind of scholarship. Educating undergraduates promotes that mission in a number of ways: it generates revenues that help pay faculty salaries, some of the undergrads go on to grad school, etc. It happens to be the case that most undergrads go to college because they think it will help them on the job market. But this fact doesn’t obligate universities to adjust their curricula to better serve that purpose, any more than I’d be obligated to cater to the demands of a reader who’s expecting me to dish out Lindsey Lohan gossip. The interesting question is: why do undergraduates flock to students where they don’t get the professor’s full attention. I think there are several reasons for this. I think partly it’s just a matter of path dependance: smart undergrads want to go to Princeton because Princeton has a strong brand, which leads to a variety of advantages (networking with other smart undergrads, for example) that have little to do with the quality of the teaching. But I don’t think that’s the only reason. It’s hard to say since we can’t do controlled experiments, but I suspect that the cultural norms of serious scholarship have positive spillover effects on the way researchers teach undergrads. Maybe researchers who are used to setting high standards for themselves are more likely to set high standards for their students. Maybe courses taught by researchers are more up-to-date because researchers incorporate their work into the curriculum. Maybe the most talented teachers mostly want to do research, and so the ability to do research is a kind of “fringe benefit” that helps with recruiting. Whatever the reason, it seems to work pretty well. On the government funding point: it’s not obvious to me that that affects things one way or the other. Certainly there are some publicly-funded research universities, but the most prestigious research universities are mostly private. Moreover, my understanding is that the tenure system emerged well before the advent of large-scale federal support for research (in the form of NSF grants etc) and teaching (in the form of financial aid). I don’t see any reason to think it would go away if those subsidies were cut. 1) Teaching subjects to a range from novice to expert has sharpened my knowledge of those topics over time. It has also caused me to view some things differently, and thus open new lines of research. Having a freshman ask “Why is that so?” has opened some new avenues of thought for me. 3) Many forms of research require resources that are beyond most smaller schools, and collaborative groups of researchers. Laboratories, libraries, lots of compute power, office space, and more all take resources. Smaller schools usually can’t afford the infrastructure or upkeep. Bigger schools tend to have more resources — not through current students alone, but through gifts from alumni and friends. State universities made an implicit deal to educate the citizens of the state at low direct cost in return for funding to maintain complex infrastructure. Over the last few decades, states haven’t kept their part of the bargain and complain when the universities raise tuition to make up the shortfall. 4) As a corollary to #3, not all scholars need infrastructure, and many small schools have top-notch researchers. I went to a small school as an undergrad (the SUNY College at Brockport) but had several faculty who were known throughout their disciplines as top thinkers. They preferred the quieter, less stressful life at a small school, and enjoyed the teaching along with their research. The size of the school is not always a good indicator of the balance of talent in teaching/research/service by the faculty. 5) Different places have different weights placed on tenure (and promotion) decisions. In general, the idea is to promote and encourage impact and innovation. It gets a little difficult to measure that in some cases. So, evaluation of impact can include a portfolio of work, teaching awards, patents, performances, software downloads, citations to papers, and many other items on a per-institution *and* per-disciplinary standard. The difficulty comes when we bump such decisions up to a university level, and you need to convince a quantum physicist that a faculty member in interpretative dances about fish is more deserving of tenure than a historian who has written 2 books about medieval armor for horses. 6) Most institutions also consider service, to the profession and society, as a component in tenure and promotion decisions. The helps to ensure that the ivory tower doesn’t become too insular, and that the faculty develop some habits of interacting with the community. Of course, not all service is equal, nor is it counted the same everywhere, but it is more than teaching and research. All of the above is not to argue for or against any particular statements made by others in this thread. I simply thought I’d throw in some thoughts prompted by the discussion. 1. It occurs to me that in some global sense, tenure and the structure of academia tend to operate as an almost evolutionary genetic system. As you mentioned, most research will be of minor importance to its field, but occasionally a researcher will hit on a field- or ever world-changing idea. So it makes sense for a given university to diversify and to allow its professors broad latitude in what they investigate. 3. In academia, too, people tend to retreat into their own work. So a sense of collaboration (even with co-PIs) can be a bit hard to find. Everyone’s trying to avoid commitments, responsibilities and attachments that would distract them from their own progress toward tenure. People can become fairly skittish about interactions and collaborations. Why do we want bright young kids to go into Egyptology? And I don’t think Egyptology is unique in not producing any great breakthroughs, I think there are many departments that will predictably do so. Often they have the word “studies” in their title (in a similarly telling manner “computer science” is not science but applied math). How about the Hanson/Cowen view: academia is not in the business of producing research but providing impressive affiliation. Extravagant expenses is the point and as long as more money keeps going in, that will go up as well with negligible change in output. I have a few other thoughts about this, but they are mostly just variations on things I’ve already said. However, I did want to mention this book incase anyone reading this thread was interested: Higher Education?